FC Bayern München may have been caught off guard by Javi Martinez's severe knee injury shortly before the 2014/15 Bundesliga campaign kicked off, but the Reds are not Germany's record champions for nothing, and they reacted, bringing in Medhi Benatia as their desired replacement. Standing at 6′ 4″, the Moroccan possessed exactly the physique, power, aerial prowess and skill in possession head coach Pep Guardiola had been looking for in a defender. Indeed, having caught the attention of some of the planet's biggest clubs following an outstanding season with Italian side AS Roma, a move to a club of the Bavarians' stature seemed only appropriate for the elegant, ball-playing centre-back. The Morocco skipper, born on 17 April 1987 on the outskirts of Paris to an Algerian mother and a Moroccan father, had long been regarded as an outstanding talent, plying his trade for France's Under-18 and -20 sides, yet making the step to senior professional football proved to be a tough nut to crack for the father of two. 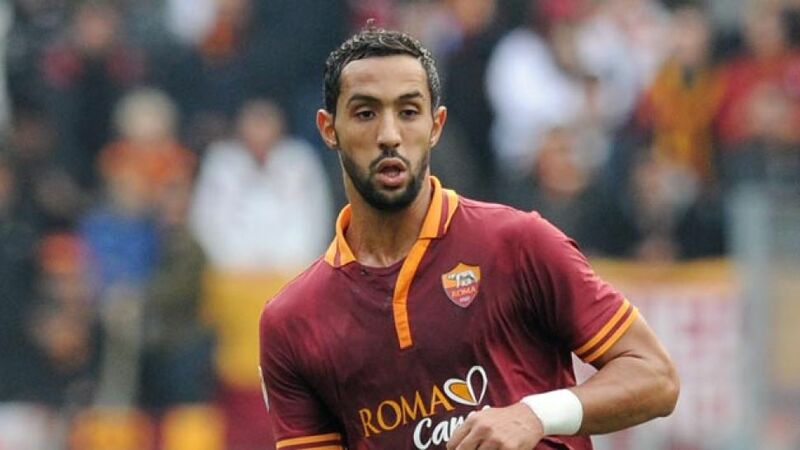 Aged 21, long before making a name for himself in Italy, Benatia decided that , instead of stagnating in the reserves at top-flight side Olympique de Marseille, a move down to second division football could be the right step for his career. The right-footer soon found his feet at Clermont Foot, making quite an impression in his 58 appearances, and in 2010 he was signed by Udinese Calcio. The man who would go one to be named Morocco’s 2013 Sportsman and Footballer of the Year went on to score an impressive six goals in 80 matches for the Udine outfit, and he was again rewarded with a transfer, this time to the Italian capital, where he was voted Player of the Season by the Roma fans last term, his one and only season at the Giallorossi before signing for die Münchner.